Glasgow's subway system and Edinburgh's tram route offer passengers additional public transport options in Scotland's two biggest cities. The SPT Subway is an underground rail system serving stations in and around Glasgow city centre. Trains are fast and frequent. At peak times, services run every 4 minutes. At off-peak periods, trains are every 6-8 minutes. 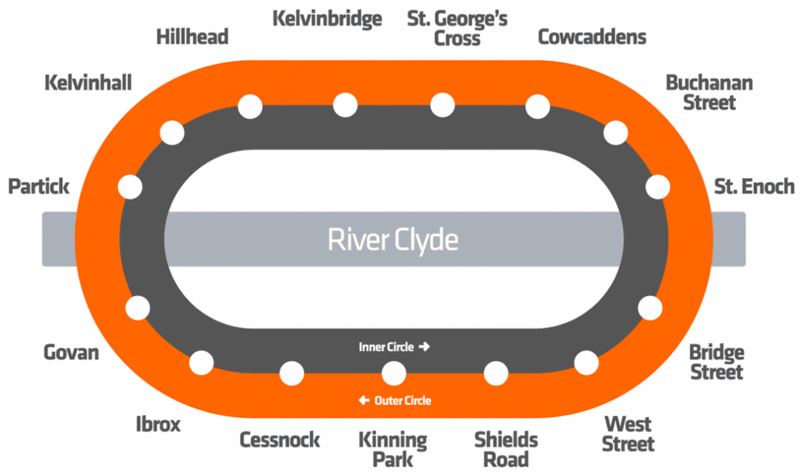 Every train calls at all fifteen stations on the circular route on the north and south of the River Clyde. There are two lines. The Inner Circle and Outer Circle, with trains operating in each direction. For more information on the SPT Subway - including opening hours, ticket prices, Park & Ride options and journey assistance - please visit SPT Subway. The Edinburgh Trams route runs from Edinburgh Airport in the west of the city to York Place in the city centre. Trams run frequently along the route, every 7-9 minutes during the daytime. There are sixteen tram stops along the route, with most stops allowing onward connections to other bus and/or national rail services. For more information about Edinburgh Trams - including operating times, ticket options, journey times and accessibility information - please visit Edinburgh Trams.